So I thought with “Ultima Shroud of the Avatar” Beta coming out in October, doing a review of the first MMORPG would be appropriate. Ultima Online was a ground breaking game for its time, and many who played it then have still never found a game they enjoyed more. Sure some games had their perks, but no MMO since has given such a long lasting impression. As a beta tester for Ultima Online (released September 24th, 1997) and an 8 year player, it was the hardest game to quit out of all the MMOs I have tried. 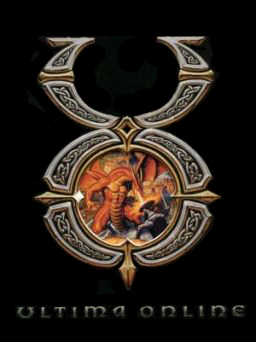 What made Ultima Online so great you ask? Well lets break down the game into what it brought the player for a never before seen experience. Games today have tried some of the features Ultima Online had, but no game has been able to master all of the features UO had in one game while still providing a 100% truly open world game play. What made this game so great you ask? Well let’s break it down in this weeks “Blast from the Past”. First off UO was the first true MMORPG game released for PC. There were other Ultima games for PC before it and other games on consoles and PC; however none of them were true MMOs. These other games were always a connection between one or 3 friends through your good old dial up connection, or in a console 2 player game. 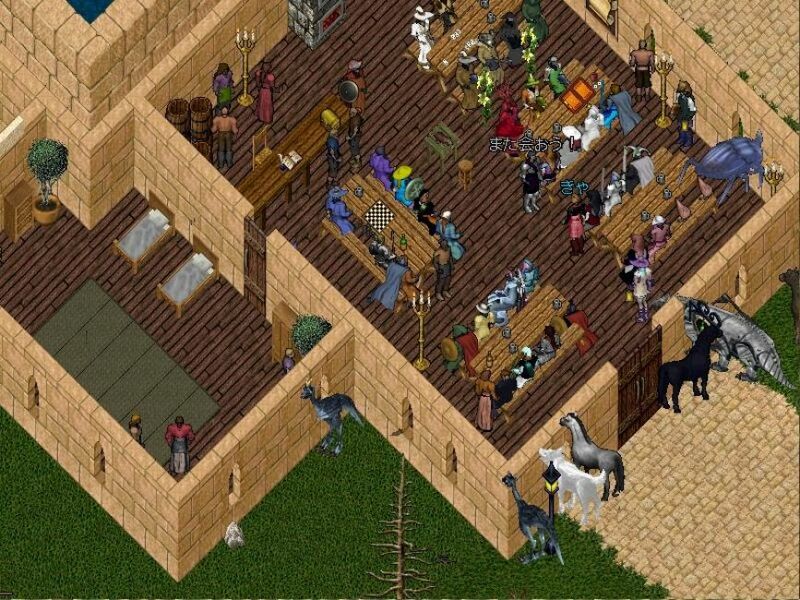 UO was the first game ever that allowed thousands of people to be connected to the same game and against/with each other. It has won many awards and has even secured two records in the Guinness book of world records (gamers edition) in 2008 for the “first MMORPG to reach 100,000 players” and “the longest running MMORPG”, and it is ensuring it keeps that second record by still being a fully active game today with a subscription! Next, UO offered a PvP system that is still talked about today and has been unmatched. It was one of the rare games where PvP was truly based on the player’s skill with the game and not with the items on their character. In fact, most of the time my friends and I spent fighting; we were in simple bone armor and a robe you get for free when you die. The only reason we had the robe was because it came with you when you died so you could just grab a weapon and get back into the fight and it would be harder for the opponents to know you just died. The PvP changed a lot when the game rights we sold to EA games, and eventually were lost altogether, but it will always be known as an epic PvP game that was never matched. UO’s skill tree was different than games of today. You were awarded 700 skill points total that you had to level into a huge selection of skills from herding to lumber jacking and all the way to magery and sword fighting. This gave every player the ability to truly choose the character they wanted to be. I remember starting off as a lumber jack / mage/ archer, and by the time I was a year or so in the game I had re tailored my skills to be a Mage/Swordsman/archer/magic resist. There were miners who could fight or characters that only had trade skills to make some serious cash. Speaking of serious cash, UO was at a time before auction houses in games existed. Instead you could purchase your OWN house deed and place a house in the game. Once you had this house you could buy vendors (that had a daily fee) to sell your items for you. This made the game very realistic of the olden days, where if someone wanted your goods you would have to sell them at your own home or walk around town advertising your goods (which happened at the banks mostly). It was a game of endless possibilities and realism. Even your bags weight mattered and not the slots to fill. Depending on your strength you could carry one large item, or many small items. Speaking of strength, even that was a feature in the game you had to control. You were able to “cap-out” at a certain amount of stat points (225), and they could be divided up into whatever amounts you worked on. For instance, lumber jacking raised your strength, so if you did not want to lose your dexterity or intelligence you had to make sure you didn’t lumber jack too much Later in the game they introduced the ability to lock your stats so you could avoid this problem, but you still had to raise them in the first place. There was no level 1-60; you did not level that way. Your character’s “level” was determined by how many Grand Master skills you had. Instead of telling people you were a level 10 or level 60 instead it was “I am a 5x or 7x GM”. Skills were hard to raise at the start, but soon players developed scripts (like UOLoop) to macro your character overnight so you did not have to play for long hours. 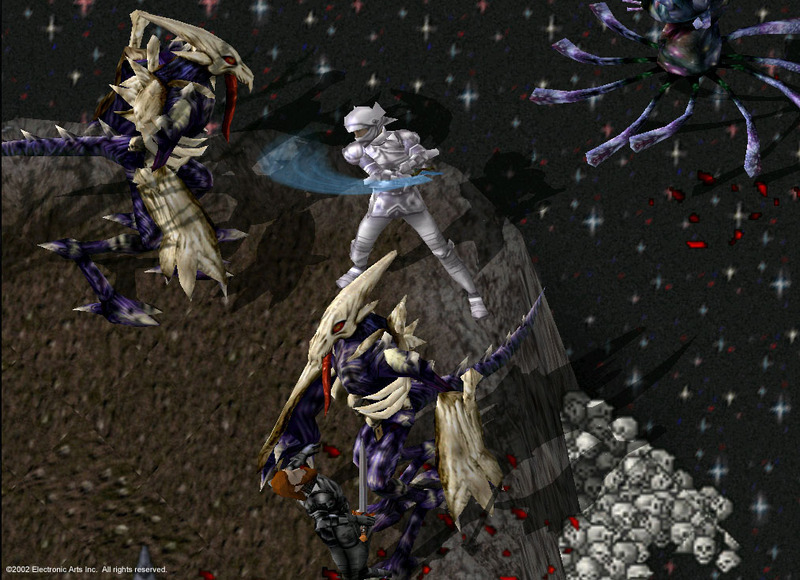 The game was VERY popular for many years, and the introduction of UO2 was in the near future. However, the game was sold by Lord British to EA games and that put an end to UO2 production and concentrated on UO. This would have been a good idea, but because of the platform it was built on back in 1997, it was not able to keep up with the now ever changing graphics. EA tried to keep people interested by offering a graphic update, but it was not a very good product. So next they started introducing factors from other games, and this is where UO took a turn for the worst. Stat changing items were introduced which destroyed the player skill aspect of PvP. Quests were put in place stopping players from playing how they wanted and made them feel they had to do the quests to progress. Bosses were put in dungeons stopping players from killing the whole dungeon and instead just farming one area, making the need to wander around the world and explore to get items come to an end. Essentially everything that made UO different from all the other MMOs was lost and without the graphics to back it up, the player base quickly left. There were rumors that most people left when a world called Trammel was released, but this is not true. For the PKers (Player Killers) this caused a problem because reds (the pkers) were not allowed in this new world. Yes this did cause many people to leave, but many more joined who left from before now that they knew they can not be PKed. I for one was a PKer who gave Trammel a chance on my blue character, but shortly after it got boring and I left the main game for a free server where PKing was allowed. There are still free to play servers, and the original UO is still up and running which you can see/play here . It still has players, but the people like myself who LOVED the original UO made by Lord British are waiting for his new game to soon be beta tested “Ultima Shroud of the Avatar”. The important thing to remember is it will NOT be another UO, instead they are trying something completely new with SOTA to change MMORPG gaming into a whole new idea just like UO did. I for one cannot wait to see what is to come of it, and will make sure we keep you updated while we help with the beta test. For all the updates of the new SOTA game, check out our posts on it here!